Learn why a small Colorado town has an annual festival to celebrate a single chicken who managed to survive for 18 months without its head. 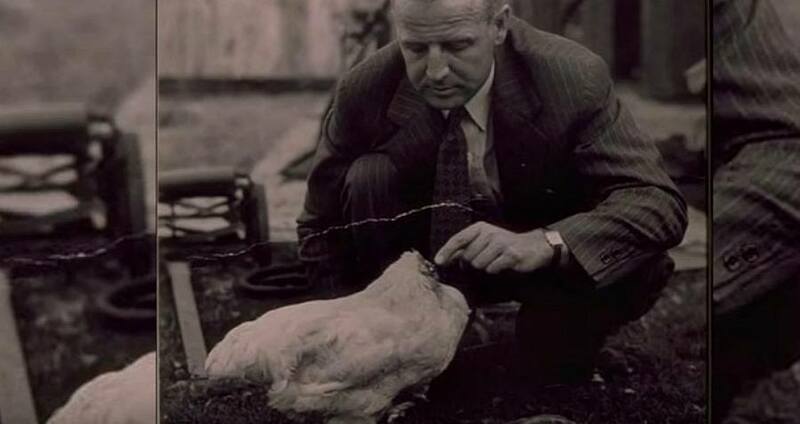 In 1945, a farmer named Lloyd Olson was tending to business as usual, slaughtering chickens on a family farmed shared with his wife, Clara. With one on decapitation duty and the other ready to clean their recent kill, the duo went to work beheading around 50 birds that day. All of them died, except one: Mike. Mike’s story begins in Fruita, Colorado, a small city located about 200 miles west of Denver. While sources dispute which hand was wielding the ax that took Mike’s head, the Wyandotte rooster did not succumb to his injuries anytime soon. “They got down to the end and had one who was still alive, up and walking around,” recalls the Olson’s great-grandson Troy Waters in an interview with BBC. Placed in a box and nestled within the confines of the pair’s screened-in porch overnight, Lloyd Olson awoke the next morning to find Mike still alive. The former fryer chicken would go on to find fame — and make a name for the Olson family along the way. When a next-day trip into town drew a curious crowd, Olson knew he had been blessed with a special companion. 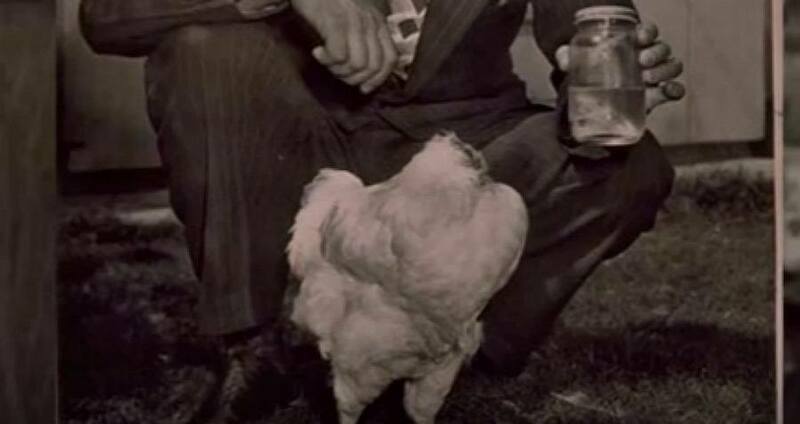 With Olson betting people for beer that he had a live, headless fowl in his possession, word about Mike the headless chicken spread quickly, eventually tempting sideshow promoter Hope Wade to travel 300 miles from Salt Lake City for a look at the unbelievable sight. Wade proposed that Olson bring Clara and Mike on the road, an offer the poor farmer happily obliged. Off they went, fascinating families all across the American countryside with their beheaded bird. Mike would go on to live for a full 18 months, thanks to Olson’s use of an eyedropper. Olson would fill the dropper with water and liquid food, and deposit it directly into Mike’s esophagus via his massive decapitation site. In that span of time, this odd couple traveled the country as part of a sideshow circuit — all the way from the coast of California to the sticky heat of the southeast, wowing audiences and earning a pretty penny along the way. Time and Life magazines both wrote features on the bird. The latter branded it “Miracle Mike the Headless Chicken,” which inspired fan mail from all corners of the U.S.
During a beheading, the brain becomes disconnected from the body, but the spinal cord circuits retain a small bit of residual oxygen, which allows the body to continue to move. Without the brain to direct the movement of the body’s reflexes, however, the circuits begin to fire off spontaneously, which can cause a bird to run around in a frenzy if it isn’t restrained or lying down. In Mike’s case, both the jugular vein and the base of the brain were left intact, allowing him to stay alive with his motor capabilities fully functional. In addition to administering food with an eyedropper each day, Olson cleared any mucous from Mike’s throat with a syringe. On a fateful night in Phoenix in 1947, Mike began choking in the Olsons’ hotel room, some say on a kernel of corn. With Olson’s syringe accidentally left behind at the sideshow, the headless wonder “breathed” his last breath, a year and a half after he lost his head. It remains unclear what Olson did with the bird’s remains, but an autopsy at the University of Utah confirmed that a blood clot in his neck prevented Mike from bleeding out months prior. Mike’s legacy continues to live on in his hometown of Fruita. 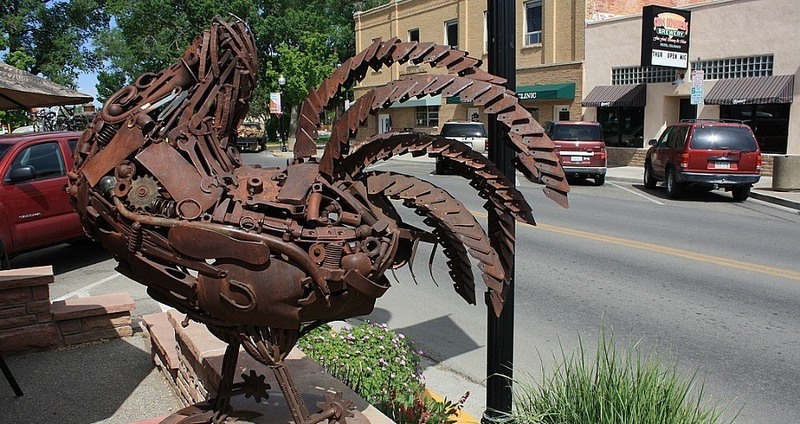 Each year, Fruita residents gather for a festival dedicated to the chicken’s unbelievable life. Featuring food, artisan booths, a 5k run, and a chicken wing eating contest, you can honor Mike the headless chicken in early June of 2017. If you can’t make that, a five-foot metal statue bearing Mike’s likeness can be found every day of the year on the corner of Mulberry and Aspen in Fruita. 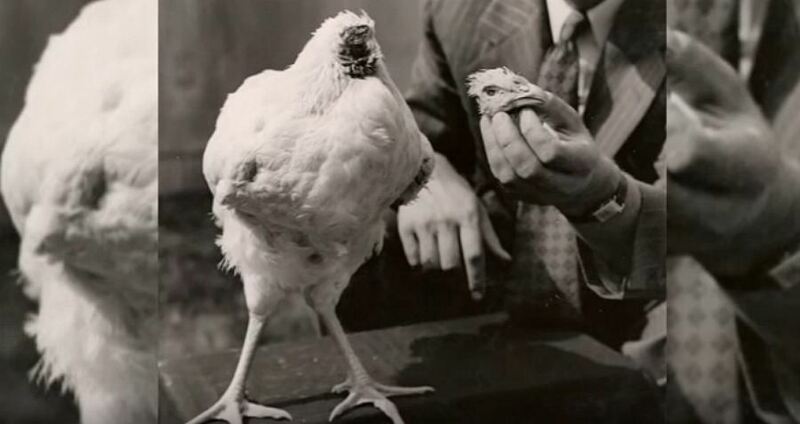 Intrigued by this look at Mike the headless chicken? Next, read the story of Murderous Mary, the elephant whose story isn’t as happy as the headless chicken’s.